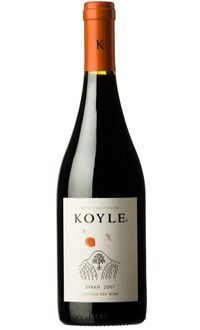 This first vintage of Koyle Syrah was sourced from Chile's Maipo and Colchagua Valley and aged in French Oak barrels for twelve months. Creamy, intense cassis and graphite notes comprise the palate with chocolate and toasty oak on the palate. The intensity of flavors shows great aging potential for this wine. Serve this with red meats and pasta.